We have something very exciting to share! 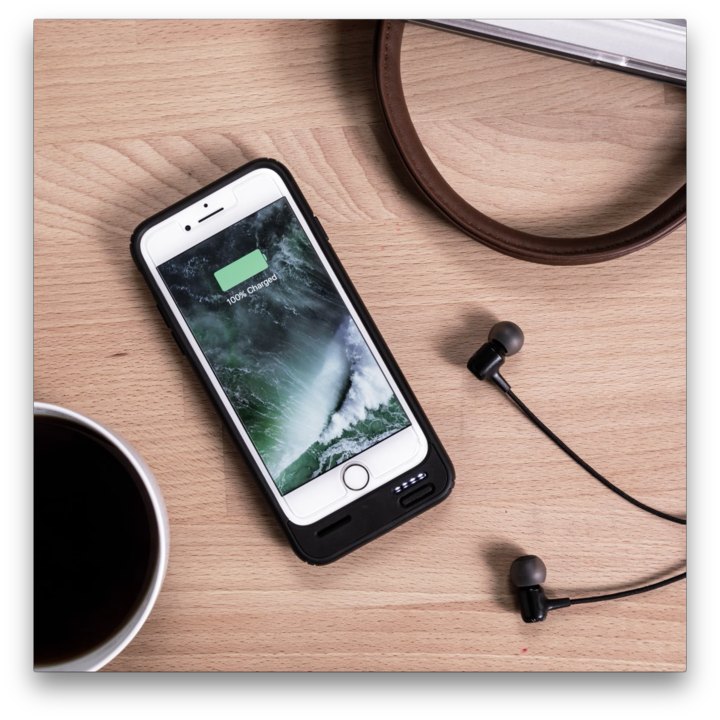 Speck has created our first-ever battery case and it provides a full recharge for your iPhone 7! After lots of research and design iterations, we developed Presidio POWER. It’s a single-piece, two-layer case with a 2,500mAh battery. The fold-back top allows for easy installation and the IMPACTIUM™ Shock Barrier protects your phone against damage from drops. Presidio™ POWER’s 2,500mAh battery provides a full recharge for your iPhone, so you always have power when you need it. A polycarbonate outer shell and the IMPACTIUM Shock Barrier inside the Presidio POWER battery case protect your phone during a drop up to 8 feet. The fold-back hinge design allows you to easily install and remove your phone. Presidio POWER charges through a microUSB cable, which allows you to charge your phone and sync data with removing the case. The charging cable also charges your phone and case together. Bright LED lights show how much battery power is available — just press the power button on the front of the case. The raised bezel around the screen protects your iPhone’s screen against damage if it lands face down during a drop. Presidio POWER has undergone dozens of rigorous battery safety tests that include drops, short-circuiting, overcharging, and exposure to extreme temperatures. Presidio POWER is available now! You can pick up Presidio POWER on speckproducts.com right now, available for the iPhone 7.